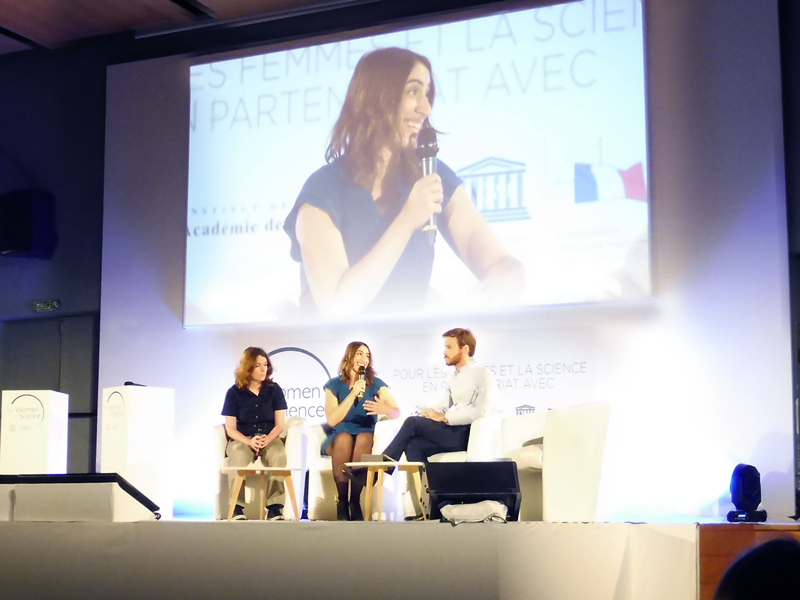 To open science professions to women and promote parity in positions of scientific responsibility, the Scholarships program L’Oréal-UNESCO “For Women in Science” awards each year young women researchers, in partnership with the French Academy of science and the French national Commission for UNESCO. This year, from more than 1,000 nominations in France, thirty young women scientists were nominated and two of them belong to the APC laboratory: Eleonora Capocasa and Valerie Domcke. Through the program of scholarships L’Oréal-Unesco, passion and excellence of young women in doctoral and post-doctoral position are valued under the eyes of the scientific community and the general public. Nominees researchers share their excellent academic level and very original science projects. Selecting two of them within APC and UnivEarthS is a double success, for which they deserve the warmest congratulations.